Here's the synopsis for the film: "Is a story of a woman miner from the Mountains of Benguet, who struggles to balance life as a miner and a single parent. 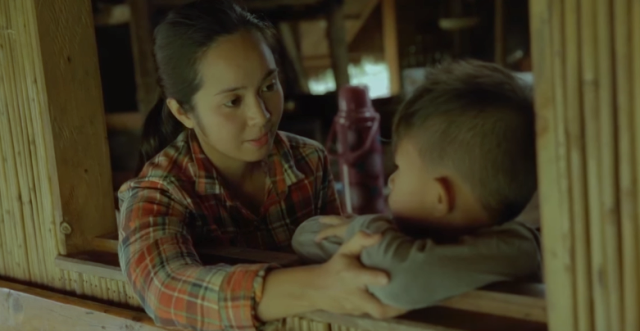 Butas will take you to a journey in the life of a mother who is struggling to make ends meet but is hopeful of being able to provide a better life for her son. Due to poverty in her native land she was forced to work in a foreign country but comes back to the Philippines to take care of her son after the husband died from a mining accident." Camera Lights and Audio Equipment provided by Bigtop Productions.